We are accustomed to think of the late Republic as a period in which Rome enjoyed almost uninterrupted military success against foreign enemies. Yet at the start of the first century BC, Rome, outnumbered and out-generaled, faced a hostile army less than a week's march from the Capitol. It is probable that only a swift surrender prevented the city from being attacked and sacked. Before that point, three Roman consuls had died in battle, and two Roman armies had been soundly defeated - not in some foreign field, but in the heartland of Italy. So who were this enemy who so comprehensively knocked Rome to its knees? What army could successfully challenge the legions which had been undefeated from Spain to the Euphrates? And why is that success almost unknown today? 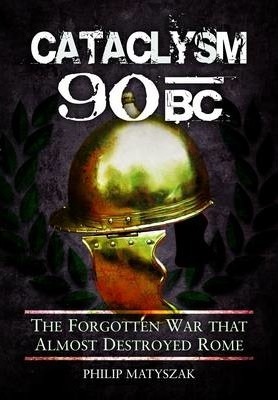 These questions are answered in this book, a military and political history of the Social War of 90-88BC. This tells the story of the revolt of Rome's Italian allies (socii in Latin - hence the name of the war). Because these Italian allies had the arms, training and military systems of the Roman army which they usually fought alongside, all Rome's usual military advantages were nullified. This brought the war down to a clash of generals, with the Roman rivals Gaius Marius and Cornelius Sulla spending almost as much time in political intrigue as combat with the enemy. The Italian leaders had to manage an equally fractious coalition of peoples. Some tribes sought negotiation with Rome, and others would settle for nothing less than the total extermination of the city and its people. The interplay of personalities (the young Cicero, Cato, and Pompey were also protagonists); high-stakes politics and full-scale warfare combine with assassination; personal sacrifice and desperate measures (such as raising an army of freed slaves) to make for a taut, fast-paced tale.